Absolutely gorgeous AKC English Fox Red, Yellow and Black Labs with blocky heads and a tremendous show line of Champions. These puppies have the potential to be very heavy boned. We have thoughtfully breed for the best in temperament, ability, loyalty, trainability, looks and disposition. Whe ready to go to your home they will have had dew claws removed, first shots, and 4 rounds of dewormer. These puppies have been raised on a farm with 5 loving children. 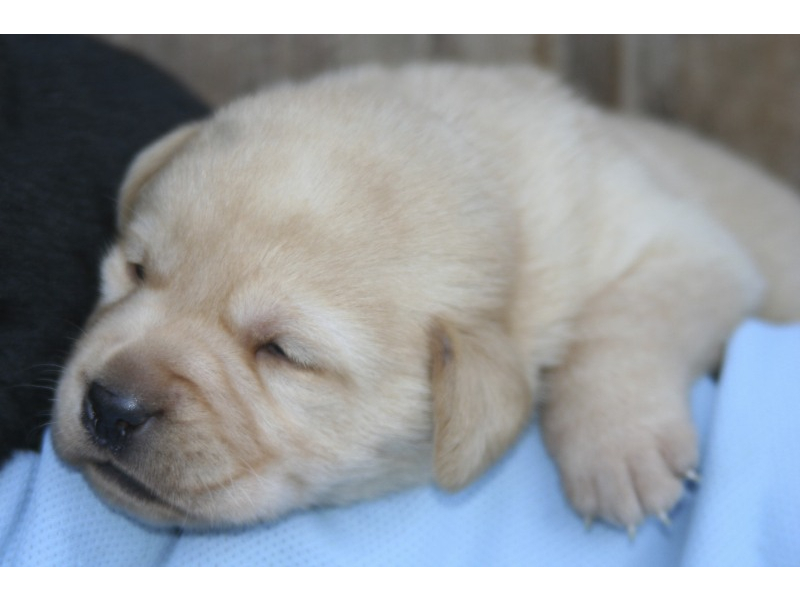 Our puppies have been handled from day one and are well socialized with people, dogs, cats and especially children. Lacey , our dam is a beautiful, 75 pound loyal Labrador Retriever with a great attitude and tons of personality. She is a well-built, labrador which is very correct and pretty with a gorgeous blocky head and thick black coat. Lacey’s sire is CH Del Helvet Can Mystic-Man and her grandparents are from United Kingdom and Belgium. You can see Lacey at www.sterlinglabpuppies.com . Lacey and Buddy have English Fox Red, Yellow and Black puppies with dual purpose pedigrees and were bred to produce hard working, mellow temperament, hunting, and companionship dogs. These are the dogs and puppies you see on Duck Unlimited calendars and T-shirts. We are really excited about this litter of fantastic pups. All puppies are $1,800 except blacks and they are $1,600. Absolutely gorgeous AKC English style Fox Red and Yellow Labrador Puppies with blocky heads and a tremendous line of service and intuition. These puppies have the potential to be very heavy boned as both parents weigh in the 100’s. We have thoughtfully bred for the best in temperament, ability, loyalty, trainability, looks and disposition. 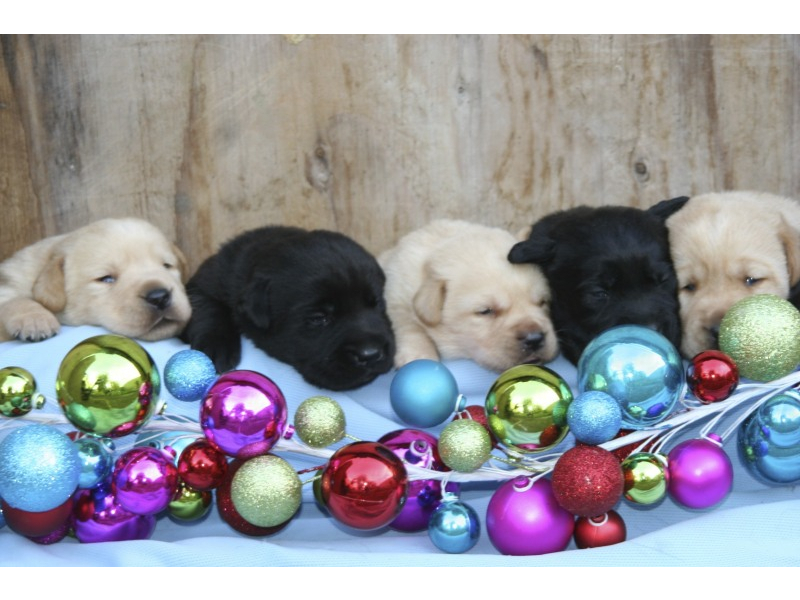 Our litter of Fox Red and Yellow puppies will be ready for their new homes by Valentines Day. At that time they will have had dew claws removed, first shots, and 4 rounds of dewormer. Our puppies are raised on a farm with 5 loving children. 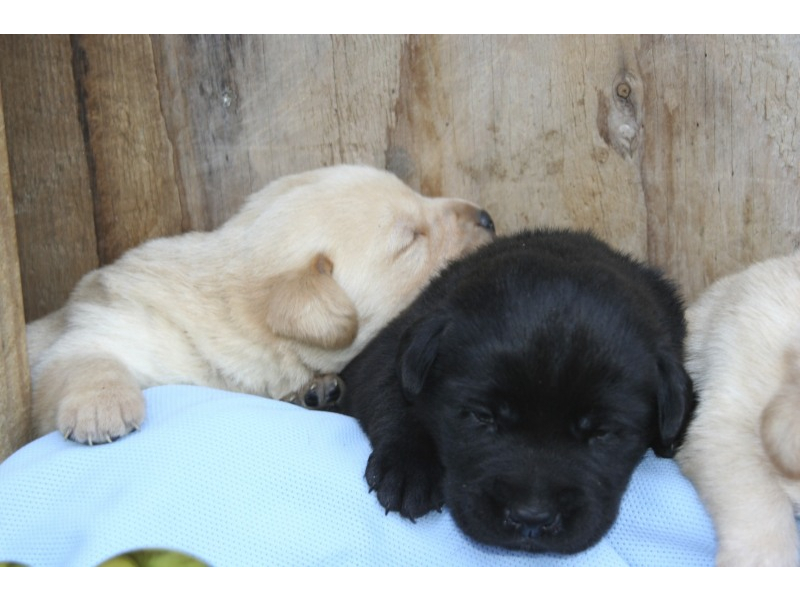 Our puppies have been handled from day one and are well socialized with people, dogs, cats and especially children. 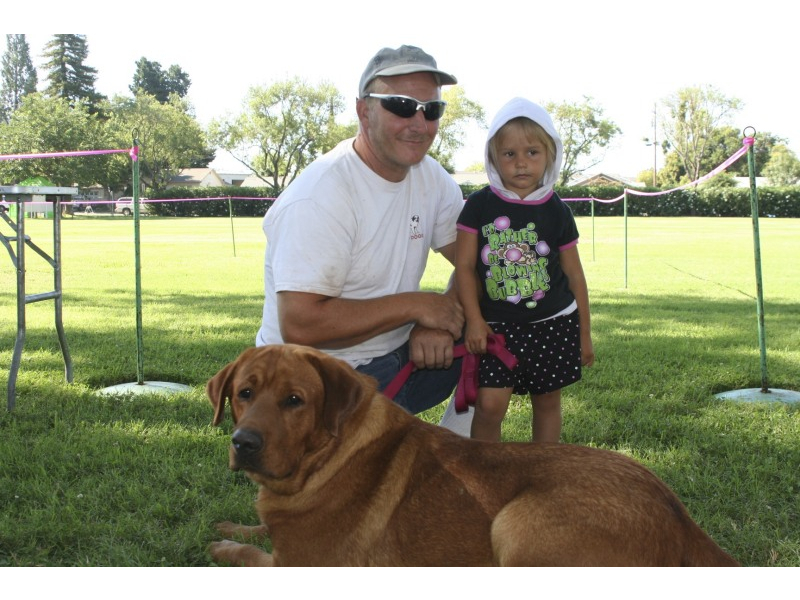 Maddie , our dam is a beautiful, 101 pound loyal Labrador retriever with a positive attitude and tons of personality. She is a well-built, Lab which is very correct and pretty with a gorgeous blocky head and thick coat. Maddie’s family has been featured on Purina Puppy Chow, Mervyn’s commercials, a rescue dog in Alaska and many other service opportunities such as caring for Autistic Children. You can see Maddie at www.sterlinglabpuppies.com . Maddie and Buddy have English style Fox Red and Yellow puppies with dual purpose pedigrees and were bred to produce hard working, mellow temperament, hunting, and companionship dogs. 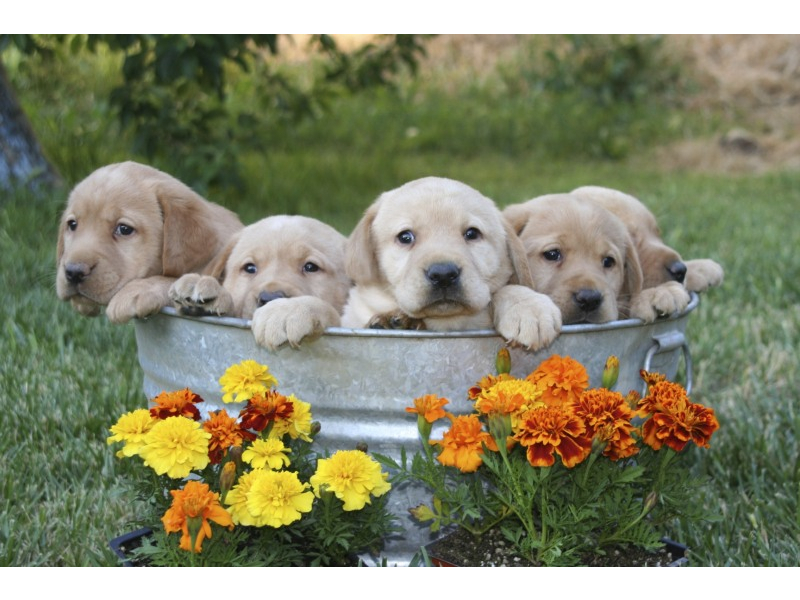 These are the dogs and puppies you see on Duck Unlimited calendars and T-shirts. 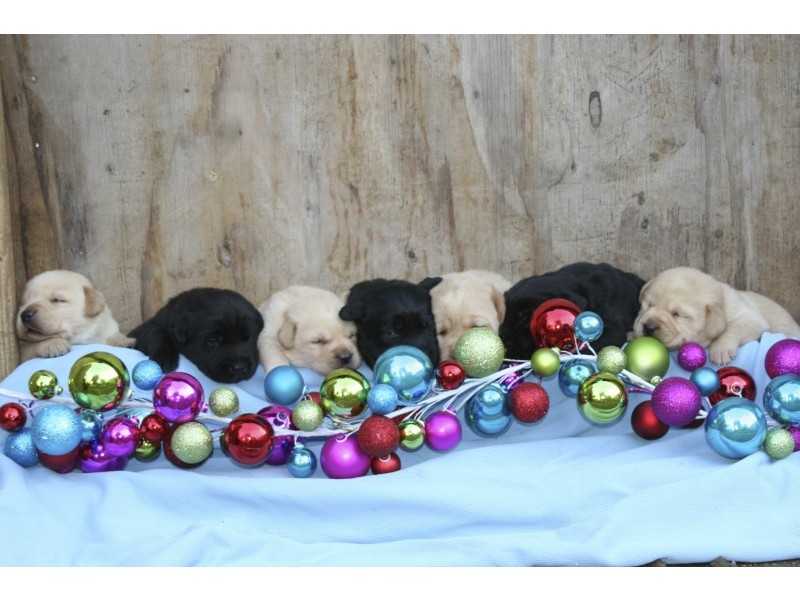 We are really excited about this litter of fantastic pups. Males $1,000. and Females $1200.